Faithcast is the weekly faith podcast from www.catholicnews.ie, the news source for the Irish Catholic Bishops’ Conference. Presented by Brenda Drumm, Faithcast is a mixture of interviews, news and stories of faith from the Catholic Church in Ireland. 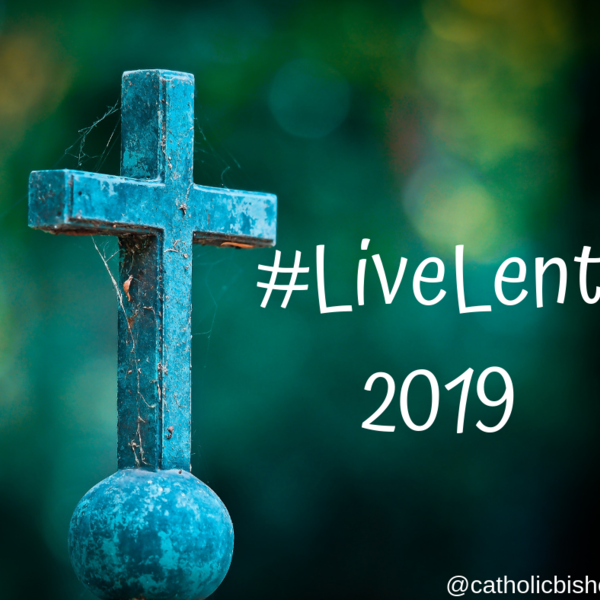 In Episode 35 of Faithcast, Brenda speaks to Bishop Denis Nulty, Bishop of Kildare and Leighlin, about how we can #LiveLent 2019 and about a new resource on the Mass that the Diocesan Commission for Liturgical Formation has produced as a focus for parishes for Lent 2019. The faith news this week features the Our Parish, Our Common Home Laudato Si’ event on 12 April; the theme for the World Day of Migrants and Refugees on 29 September; Bishop Brendan Leahy on Lent 2019 as a time to take stock and make a new start; Pope Francis’ Ash Wednesday homily in which he describes Lent as a wake-up call for the soul; the annual Trócaire/SPCM Maynooth lecture which will be delivered this year by Archbishop Diarmuid Martin on 12 March; and, Archbishop Eamon Martin’s invitation to the faithful to #LiveLent 2019. All queries relating to the podcast should be directed to bdrumm@catholicbishops.ie.